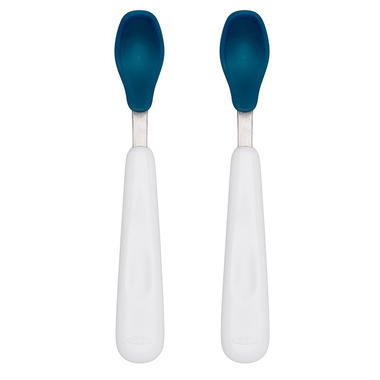 OXO Tot Silicone Feeding Spoon Set has a protective food-grade silicone coating which is gentle on baby’s gums and mouth. 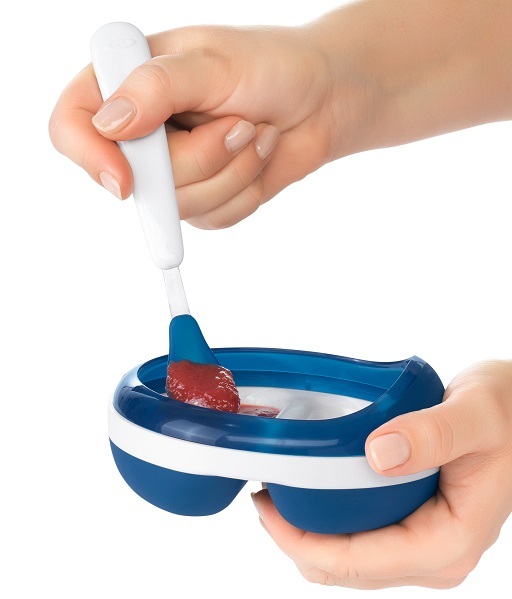 The soft edges of the silicone can be used to scrape the last bit of sweet potato from the bowl or jar, or to gently wipe applesauce from baby’s face. 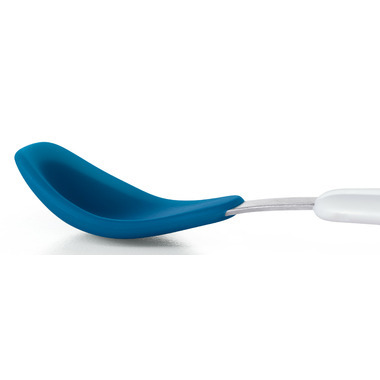 The shallow spoon prevents feeding baby too much food at once. A contoured handle is comfortable to hold and angled for easy feeding. These are by far the best baby spoons we have come across.